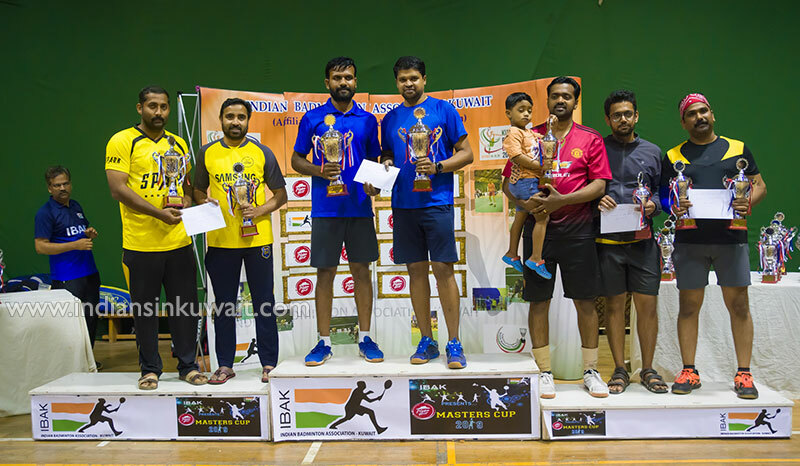 The Indian Badminton Association of Kuwait (IBAK) organized the Pizza Hut IBAK Masters Cup 2019 at its venue in Salwa on 27th and 28th March 2019. Kout Food Group (Pizza Hut) was the title sponsor of the event. Ms. May Omran, Asst. Manager – Marketing, Kout Food Group(Pizza Hut) formerly inaugurated the event on Thursday, 28.03.2018 at 7.30 pm in the presence of Captain Abdul Hadi Mohammed, General Secretary – Kuwait Badminton Federation. Speaking on the event Dr.Manimara Chozhan thanked Pizza Hut for their continued support to IBAK. During the inaugural ceremony Captain Abdul Hadi Mohammed, General Secretary – Kuwait Badminton Federation has also distributed BWF Shuttle Time certificates to the Shuttle Time participants. 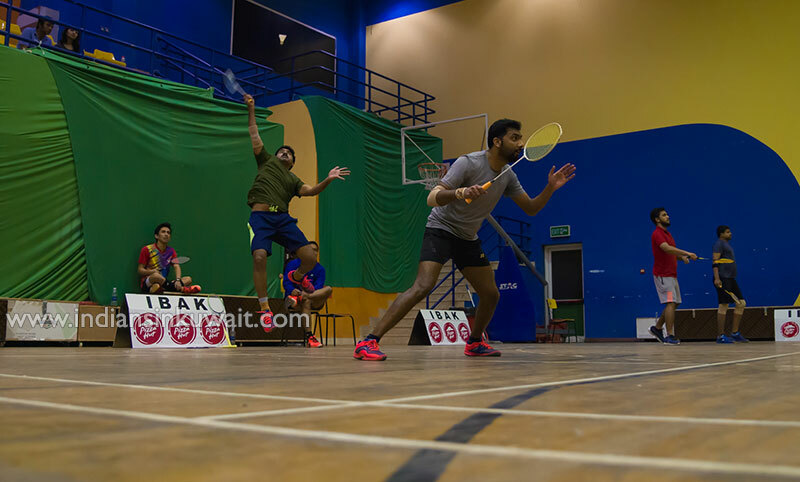 Event was a grand success with close to 250 badminton enthusiasts around Kuwait taking competing in the event. A huge gathering of multi nationalities assembled in the venue for two days to witness the major event in National elite Circuit. Competition witnessed impressive performance by all participated. 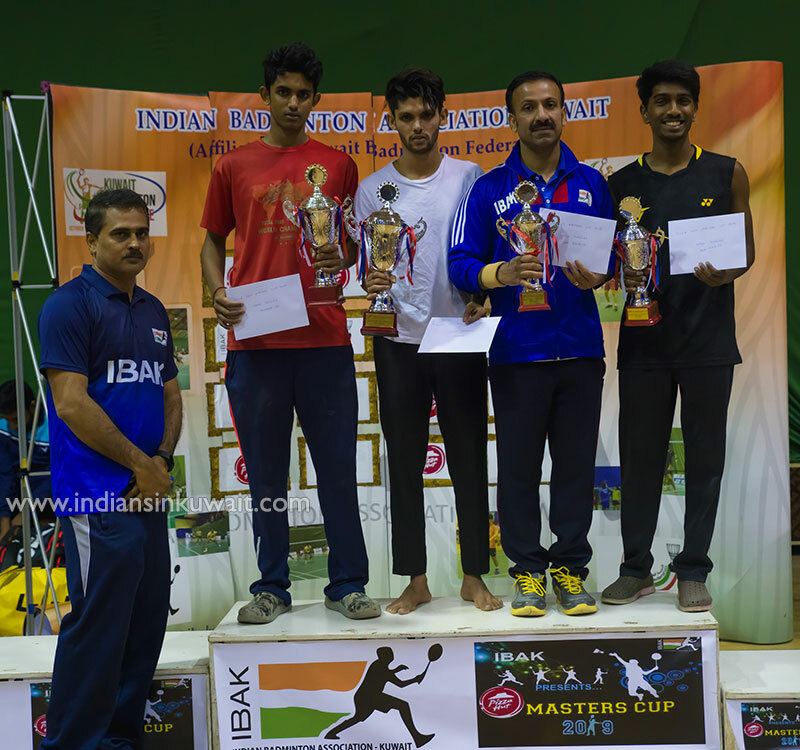 With many close fought and spirited matches, Pizza Hut IBAK Masters cup 2019 were full of thrill and excitement. Tournament found many seeded players bowing out of competition early. 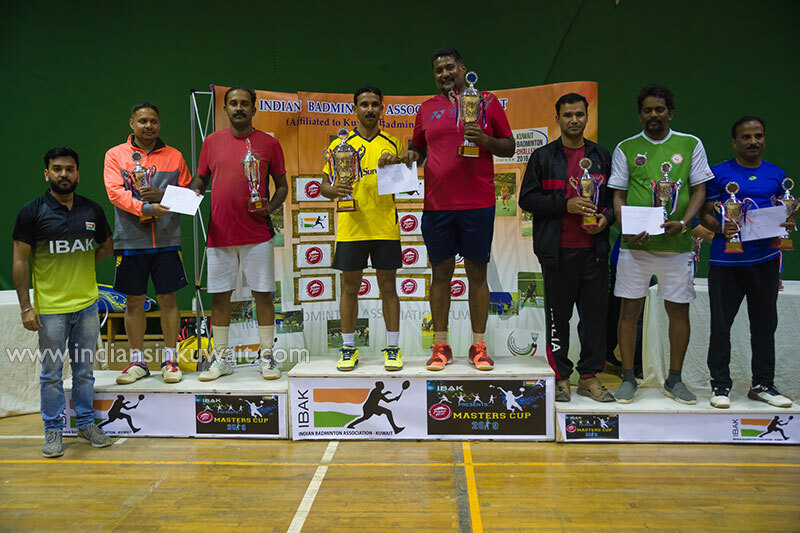 Tournament had six categories for competition and they were, Professional Men’s Doubles, Advanced Men’s Doubles, Intermediate Open Doubles, Open Singles, Above 40 Men’s Doubles and Ladies Doubles. 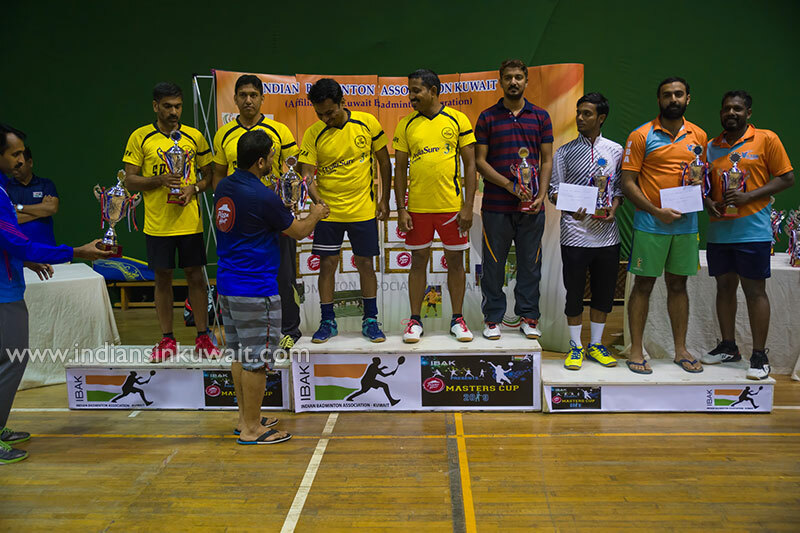 Arshad NV was crowned with Open Singles title with a final match win over Varun Sriram (19-21, 22-20, 23-21). Aju Joy and Binoj Chalisserry had relatively easy win over Saleem Mohammed and Shajahan VA (21-13, 21-14). 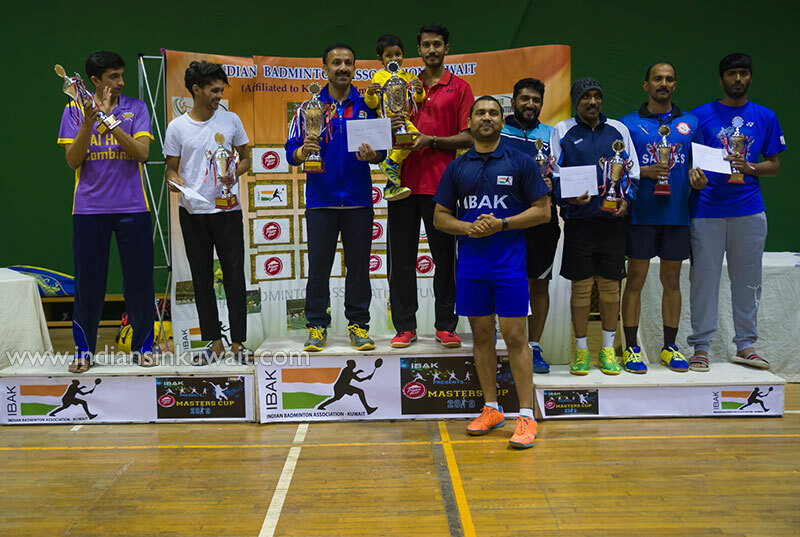 In Above 40 Men’s Doubles Prakash Muttel and Sajeev Punnekkal won the finals against Ajoy Felix and Ajay John(21-11, 21-17). Intermediate doubles was won by Binoy Thomas and Wilson Crasta had to sweat against Joel Varghese and Sabin Sam before winning their title match(15-21, 21-11, 21-17). Winners: K.Latheef Aneef and James Bastian, Runner Up: Arshad N V & Sanju V K Semi Finalists: Yashin Bose & Bader Kalliparambil and Harshath Kader Hussain & Liju Thomas. 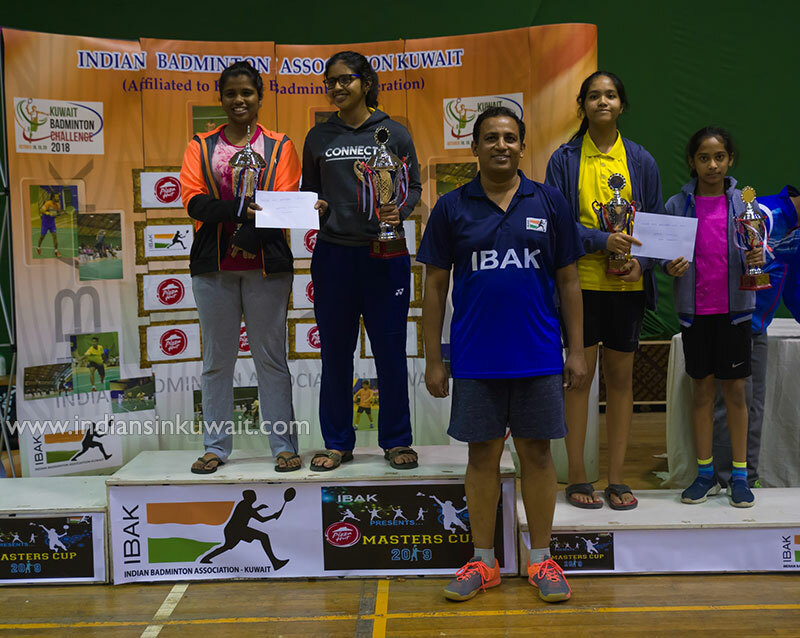 Indian Badminton Association Kuwait (IBAK) has been the pioneer association promoting and show causing badminton among all the badminton lovers in Kuwait. IBAK has been providing a professional platform for the sport of badminton to the willing young players since a decade. 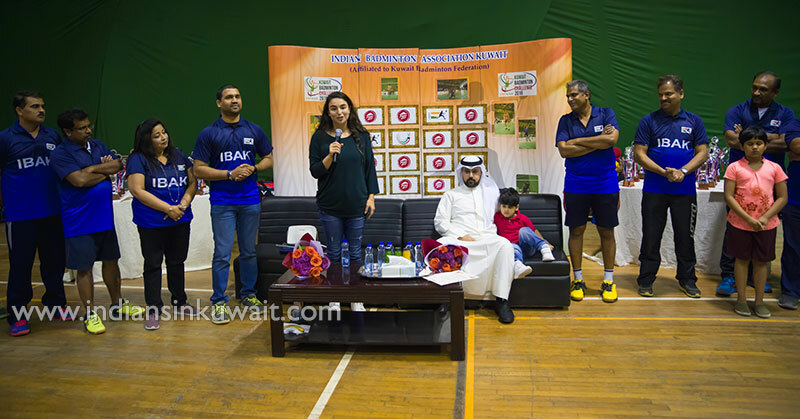 IBAK is the only one in Kuwait to be associated with Kuwait Badminton Federation. IBAK’s next open event Kuwait Open Ranking Tournament will be conducted on May 2nd and 3rd 2019. Registration link for Kuwait Open Ranking Tournament will be published soon.